Baltimore, home of delicious crab cakes and people dressed as super heroes! 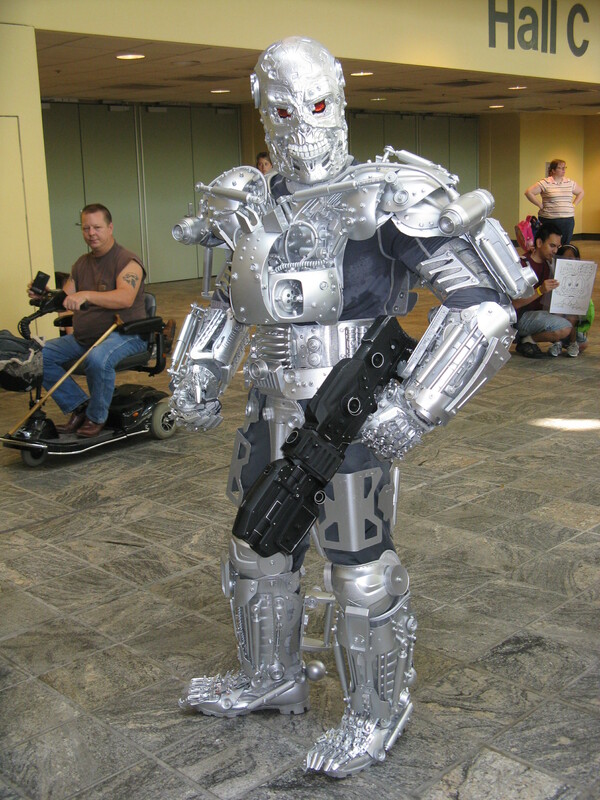 Last weekend, comic book fans of all kinds flocked to Baltimore, Maryland for the 2011 Baltimore Comic Con. Attendees dressed up as characters from all manner of comic books, videogames and movies to check out the discussion panels and search for that one rare issue of their favorite series. Here's just of the tip of the cosplaying iceberg from Baltimore Comic Con 2011. Creating the T-742 series of Terminators wasn't one of Skynet's best moments.